Keep your home protected–no matter where you go! We travel often and whenever we do, we make sure we leave appliances unplugged and everything as secure as possible. We are also very lucky to have a great family who is vigilant and great neighbors. When it comes to securing one of your biggest investments, you need to think about your options. That means we have a solid security system but, what happens if there is a leak? Unfortunately, my security system won’t alert me of a leak. 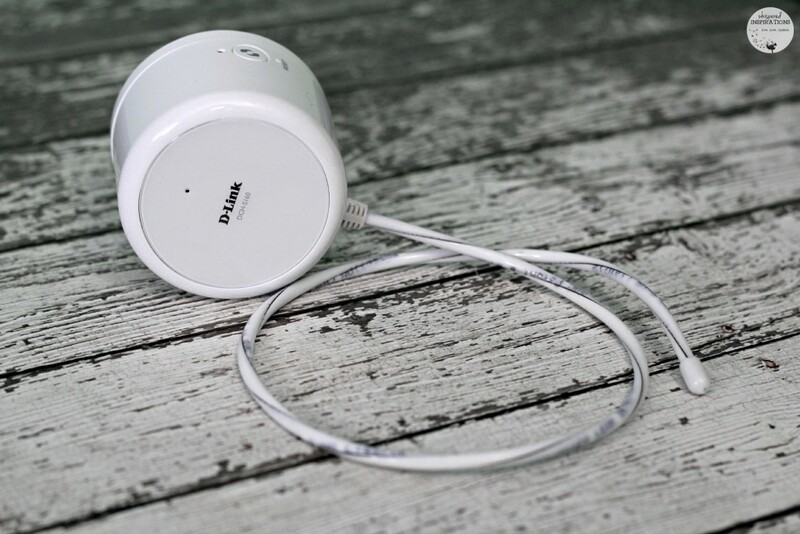 When I had the chance to try out the D-Link WiFi Sensor, I was stoked. This is a great solution whether we are thousands of miles away or if we are at home. It is quite simple actually, you find a spot wherever you suspect there could be a potential leak. Plug it in and let it do its magic. We all know how disastrous a water leak can be and how much damage it can leave in its wake. Being alerted and stopping the leak before it gets to that point can save you TONS of money. Water Detection – Cable detects water for easy placement around washers, sump pumps and water heaters. Push Notification – Receive smart alerts on your smartphone when water is detected. Setup– Easy set up with the mydlink Home app. Connectivity – Easily connects to your existing Wi-Fi network. The built-in siren is loud enough to alert you to a leak when you’re home. 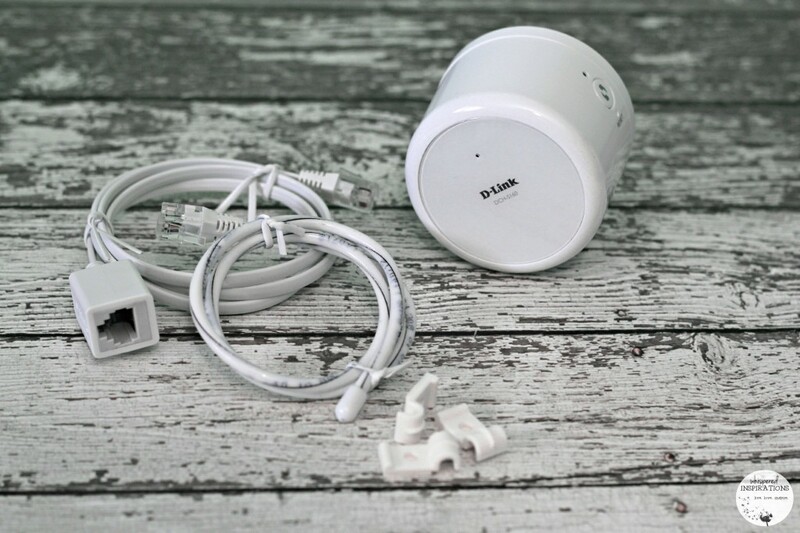 But, if you are not at home, the mydlink Wi-Fi Water Sensor will send push notifications to your iOS or Android device. We tested it out by dipping the sensor into water and lo and behold–it sent an alert to my iPhone in 30 seconds! 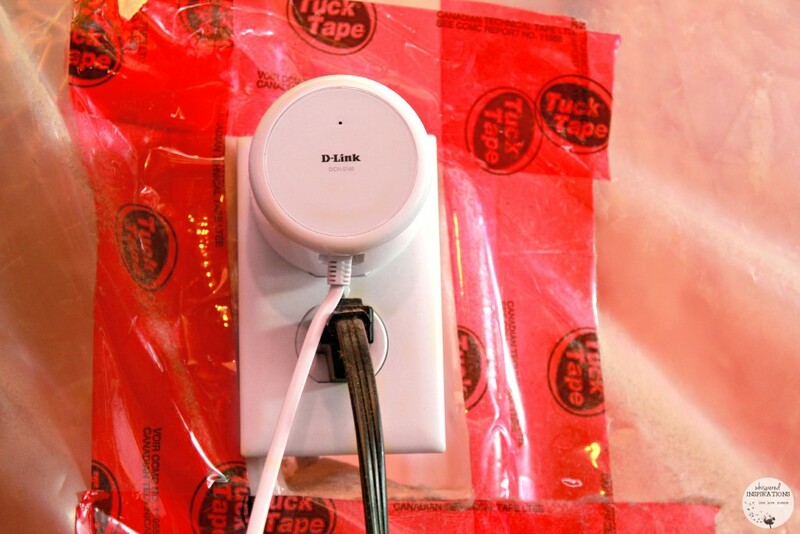 Leaks don’t always happen near an available outlet, that’s why they’ve designed their 1m extension cable. It can be extended even further using any Standard RJ-11 phone cable. This summer, we had a problem with our water heater leaking. If I hadn’t gone in there by chance, it would have eventually leaked much, much worse. 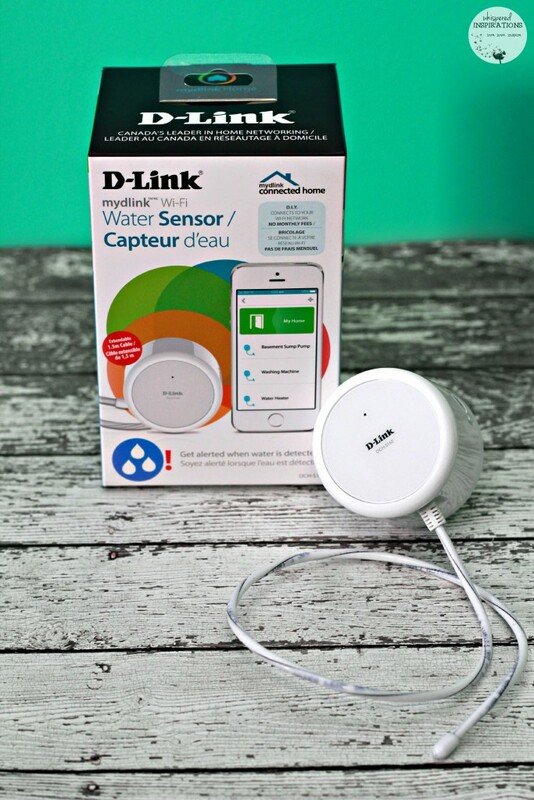 We decided to place our mydlink Water Sensor in the laundry room and use the extension it comes with for more reach. Now, when I travel, I know that I am covered. The house is secure, appliances unplugged and now safe from water leaks! Not only that, I am connected at all times. No Leak Out of Reach. for $75.49. For total peace of mind, you can place this sensor near washing machines, sump pumps, water heaters, sink/bathtub, dishwasher or fridges. For more information, make sure you head over to D-Link’s website to learn even more about how you can keep your home safe and save a little cash in the long run! Have you ever had a water leak? What a great product! It definitely is a great way to keep things safe and secure. It is great peace of mind. I've never thought about having a water sensor. Makes so much sense though. I think it's definitely something my family needs to invest in. I think it is a great investment. I wish I had this before my hot water heater broke. So many things in the basement were ruined. It's a great invention. I had a leak earlier this summer. It is great to have. I can see how this could really come in handy for any home especially those living on the coast. I'll have to check into getting one of these. I rent and would hate for something to happen to any of my items even though my landlord would be responsible for fixing the leak. This is a smart device! I would love to get one for the peace of mind of knowing that it will alert me to any major leaks! We have had water leaks in the past- they're not fun!! I love smart devices that can notify you. Keeps you connected. This is a water sensor, so in case you have a leak–this will help. What a great idea! I can't believe no one's thought of this before, but I know so many people who could really use a water sensor like this. Our basement is quite dry, but others around us aren't so lucky. It really is great peace of mind. This sounds like a really awesome product! I need to get one of these! My hubby will love it, too! We had a fast leak while we were sleeping and woke up to over an inch of water in the front of the house. The damage cost a lot to repair. This sensor would have been great because the alert to my phone would have woken me. Yes, it also sounds when it senses a leak. I have such a high water bill lately, and I think there may be a leak! Never knew devices like these exist!! this is probably one of the most innovative and useful products I have seen on hte market. Talk about peace of mind when you are not home or traveling. It can save you lots of money too by alerting you before it gets worse! This is such a great tool!! I have never thought about worrying if my water is leaking when I leave th house. Interesting. Great post!! I've been out of town before and had someone check my house to find out we had a terrible leak. that's not fun. I feel like I've heard of D link before but I can't remember if that's the right name. In any case, this is a cool sounding little gadget! It is really a great gadget!